Lives and works in Oslo. Educated at art academies in Oslo and Bergen. 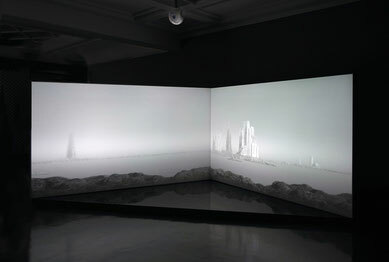 Until 1996, Boe works with room installations consisting of sound and video projections. From 1996 cameras as a new tool, which changed the format and production, but where the main mood of the works are kept. He builds up small scale miniature landscapes in his studio, which he puts light and photographed. Some of the motifs are manuscript to video / audio installations. Boe has held numerous exhibitions including in Berlin, New York, Rio de Janeiro, London, Houston, Reykjavik, Stockholm and Oslo. 2015 Sculpture biennial, Vigeland Museum, Oslo. Purchased by including Museum for Contemporary Art, Oslo and Gothenburg Art Museum, and national and international collectors.